ONE CHARITY GOLF EVENT YOU WILL NOT WANT TO MISS! Held over two glorious days and hosting professionals and celebrities this is one golf day you should mark in your calendar. 36 hole,two ball best ball stableford (professionals ball included). Wednesday 14th March 2018: Shotgun start 7am and 1pm. Followed by team winners presentation. 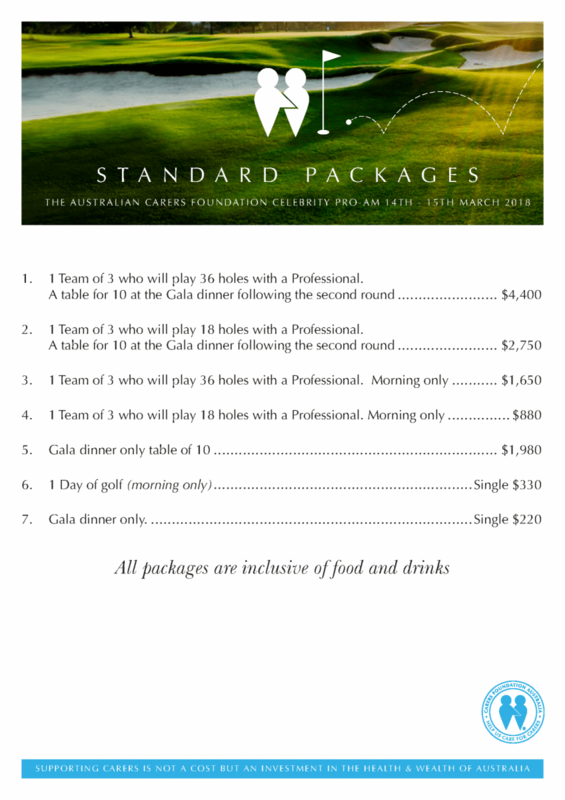 Thursday 15th March 2018: Shotgun start -7am & 12.30pm.Followed by a Gala Charity Dinner in the Marquis Ballroom Royal Pines. 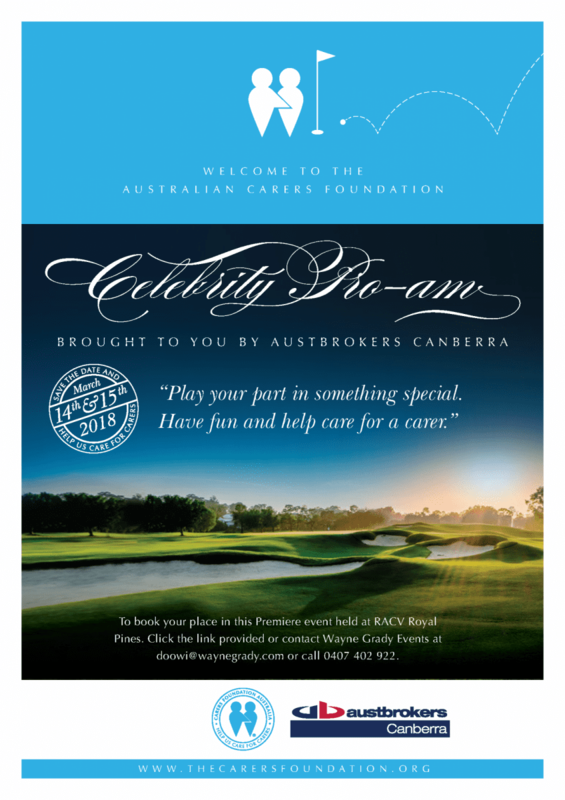 Food and beverage stations and entertainment on course, two $100,000 hole In One chances to be won thanks to our Major Sponsor Austbrokers Canberra, and your opportunity to not only play with one of our great professional players but a celebrity as well! 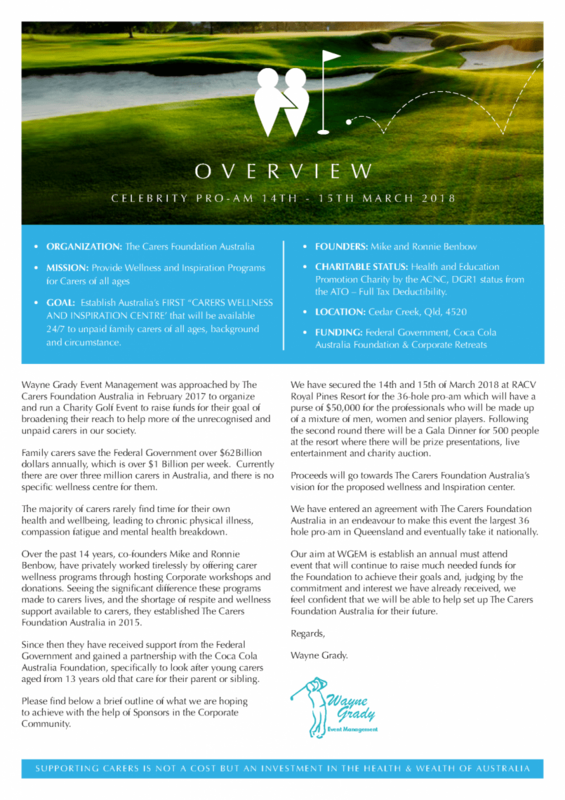 ‘Help us help a carer’ and play your part in this fantastic cause’. Click HERE to register your interest today. Remember you do not have to pay today and you can edit your registration details as your teams are confirmed. 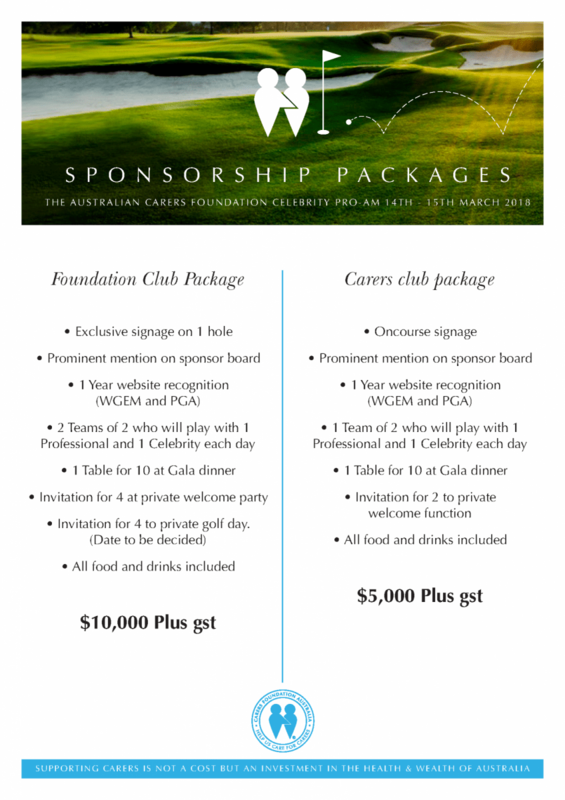 If you would like more information on Sponsor Packages CONTACT us here today with your email address.